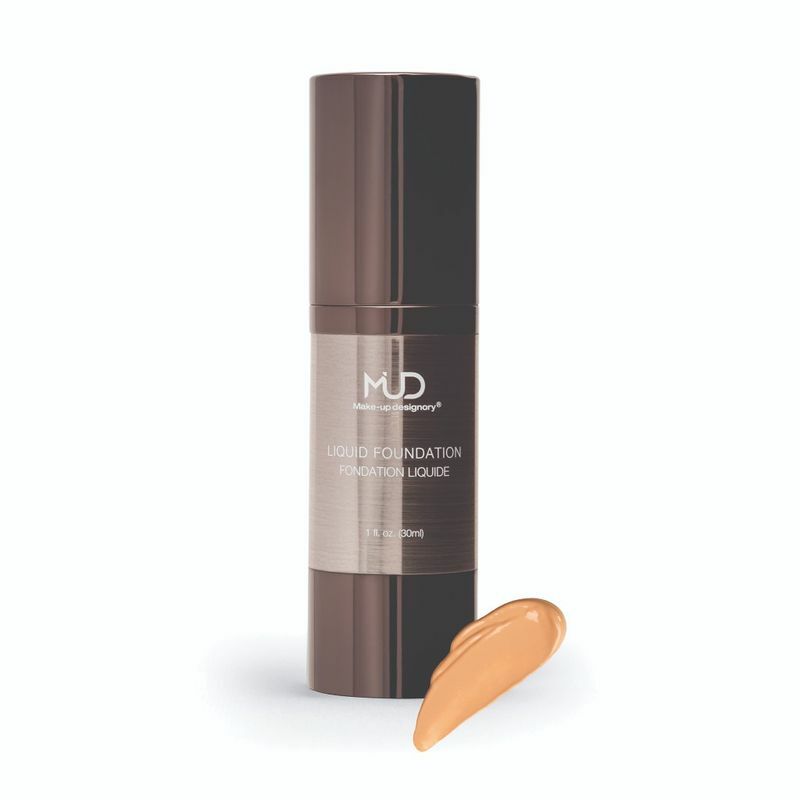 MUD's rich and creamy liquid foundation is enriched with natural aloe vera and shea butter that leaves a natural-looking finish for long hours. This lightweight formula contains high quality silicone based compounds and is designed to stay on the surface of the skin, giving it a smooth flawless finish. It is buildable and easy to blend with a brush or sponge which glides seamlessly giving a radiant, silky finish. Available in 10 shades, it's sleek airless pump allows for every last drop to be used. Silicone-based rich and creamy formula. Feels weightless on the skin . Evens out the skin tone while allowing it to breathe . Buildable and easy to blend. D1 - Medium brown with an olive undertone/ Suitable for light golden brown skin tones. D2 - Medium to dark brown with an olive undertone/ Suitable for medium-dark brown skin tones with a warm olive undertone. D3 - Dark warm brown/ Suitable for dark skin tones with a balance of olive and warm undertones. L1 - Extra-light golden olive/ Suitable for very fair olive skin tones. L2 - Light olive-beige/ Suitable for fair olive skin tones. L3 - Light peach-olive/ Suitable for fair peachy-olive skin tones. L4 - Light-medium olive beige/ Suitable for light-medium skin tones with an olive undertone. M1 - Medium golden olive/ Suitable for medium skin tones with a strong olive undertone. M2 - Dark medium golden olive/ Suitable for dark-medium skin tones with a strong olive undertone. M3 - Medium olive-beige/ Suitable for medium skin tones with a balance of olive and warm undertones.